As homeowners, many of us take on the challenge of becoming the world’s best handyman (or woman! ), taking on the problems that just seem to be part of owning property. Fixing the odd crack here and there, putting up a picture is all quite easy, but when it comes to plumbing, there is a lot more at stake – any problems could potentially lead to disaster! Water can have devastating consequences to a home. A leaky faucet is perhaps one of the most common problems that you are likely to encounter, although with today’s modern ceramic faucets, that is fast becoming a thing of the past. With the older style faucets though, many people try a little extra pressure when turning them off, believing that it will stop that annoying drip-drip-drip. However, increasing the pressure used to turn them off will only make the leak worse – compressing the rubber washer to the point of failure. Unless the toilet has been badly installed, a clog in your toilet is usually quite a rare occurrence and normally quite easily fixed. A few minutes with a plunger or even a chemical agent should put paid to the clog with little effort. 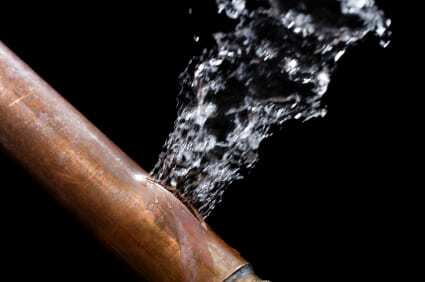 If you spot a leak on any of your plumbing pipework, you should try to get it repaired as soon as you possibly can – it will only ever get worse. If it is on a compression fitting, you should tread carefully; sometimes a little extra twist will stop the leak, but it could also go horribly wrong and leave you with a huge mess. Whatever your plumbing problem, you should always talk to a professional and get advice from an experienced and qualified plumber, don’t risk tackling the job yourself if you’re unsure about any aspect of it. Pipe Prop provide high quality adjustable pipe stands for all your pipework needs, call us at 1-888-590-0120 or contact us online.